WordPress 4.7.2 is now available, and is a security release for all previous versions of WordPress. We strongly encourage you to update your sites immediately. Anyone who is already subscribed to one of our upgrade packages has already been upgraded to WordPress 4.7.2. If you’d like to ensure that your site is always up to date, please check out our WordPress Maintenance Packages. WordPress 4.7.1 is now available, and is a security release for all previous versions of WordPress. Remote code execution (RCE) in PHPMailer – No specific issue appears to affect WordPress or any of the major plugins we investigated but, out of an abundance of caution, we updated PHPMailer in this release. This issue was fixed in PHPMailer thanks to Dawid Golunski and Paul Buonopane. In addition to the security issues above, WordPress 4.7.1 fixes 62 bugs from 4.7. For more information, see the release notes or consult the list of changes. Anyone who is already subscribed to one of our upgrade packages has already been upgraded to WordPress 4.7.1. If you’d like to ensure that your site is always up to date, please check out our WordPress Maintenance Packages. WordPress 4.7 has been released. As always, we highly recommend that you keep your WordPress installation, WordPress themes and WordPress plugins up to date to ensure that you’re running the most secure and feature rich version of WordPress. All current Watershed Studio WordPress Upgrade Service and Maintenance Package subscribers have been scheduled for your WordPress 4.7 upgrade. If you’d like to ensure that your site is always up to date, please check out our WordPress Maintenance Packages. WordPress 4.4, named “Clifford” in honor of jazz trumpeter Clifford Brown, is available for download or update in your WordPress dashboard. New features in 4.4 make your site more connected and responsive. Clifford also introduces a new default theme, Twenty Sixteen. Twenty Sixteen, is a modern take on a classic blog design, and was built to look great on any device. A fluid grid design, flexible header, fun color schemes, and more, will all make your content shine. 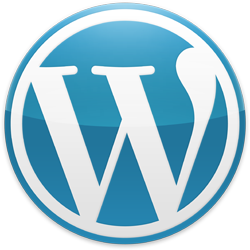 Now you can embed your posts on other WordPress sites. Simply drop a post URL into the editor and see an instant embed preview, complete with the title, excerpt, and featured image if you’ve set one. It will even include your site icon and links for comments and sharing. All current Watershed Studio WordPress Upgrade Service and Maintenance Package subscribers have been scheduled for your WordPress 4.4 upgrade. WordPress 4.3.1 is now available, and is a security release for all previous versions of WordPress. Anyone who is already subscribed to one of our upgrade packages has already been upgraded to WordPress 4.3.1. If you’d like to ensure that your site is always up to date, please check out our WordPress Maintenance Packages.